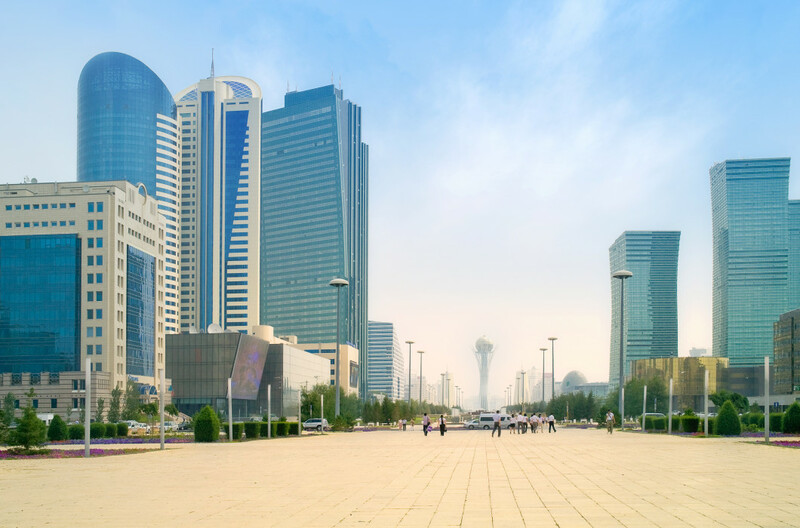 Due to its climatic conditions, Kazakhstan uses a significant amount of heat energy. It is estimated that over 50% of the urban heating demand is covered by DH systems, which are connected to large combined heat and power (CHP) plants and large central heat-only boilers (HOBs). Apart from using cogeneration as a source of heat in some systems, the DH systems have low efficiency, with heat losses reaching up to 50% of the primary energy used. Today, Kazakhstan is paying high attention to energy savings and energy efficiency across its economic sectors. Examples of ongoing initiatives include the National Energy Saving Programme (set to run until 2015) and the new Law on Energy Saving and Energy Efficiency. Another important initiative is the Housing Infrastructure Mobilization Programme, which will run until 2020. This program includes municipal heat supply and retrofits in residential buildings. Many energy-related private companies have shown interest in improving energy services by actively taking part in the reduction of heat and energy losses in municipal heat systems during the generation, transportation and consumption phases. The United Nations Development Programme (UNDP), as an implementing agency of the Global Environment Facility (GEF), has initiated a project focusing on private investment leverage schemes to develop the energy efficiency market in Kazakhstan’s building sector. More specifically, the UNDP/GEF project puts emphasis on the energy service company (ESCO) model, which is very attractive for building owners since the funds invested in the building’s energy savings are recovered through the achieved heat savings. Despite increased interest in the ESCO model, several barriers to ESCO creation and development as well as to the implementation of energy performance contracting (EPC) still exist. As part of its efforts to address these barriers and promote ESCOs in Kazakhstan, the UNDP commissioned Econoler to (1) conduct an analysis of the current conditions in the country for ESCO performance, (2) identify barriers to ESCO creation and development as well as to the implementation of energy performance contracting (EPC), (3) propose recommendations on removing these barriers, and (4) conduct training for Kazakhstan specialists on energy service issues related to ESCOs and EPCs mainly in the municipal heat supply sector. Conducting a mission to Kazakhstan to present the results of the first two activities mentioned above and to conduct training for Kazakhstan specialists. At the end of the training, the participants had the theoretical knowledge and practical skills required for the creation and further operation of ESCOs and the preparation of EPCs and business plans for financing. At the end of this assignment, Econoler presented the findings of the first two activities at a workshop which brought together government and municipal officials.